Police have recovered a safe and its £45,000 contents stolen in a Brighton burglary after following a suspect van which failed to stop for officers. The white Ford Transit was dumped at Coldean, but later police found the valuable haul inside. 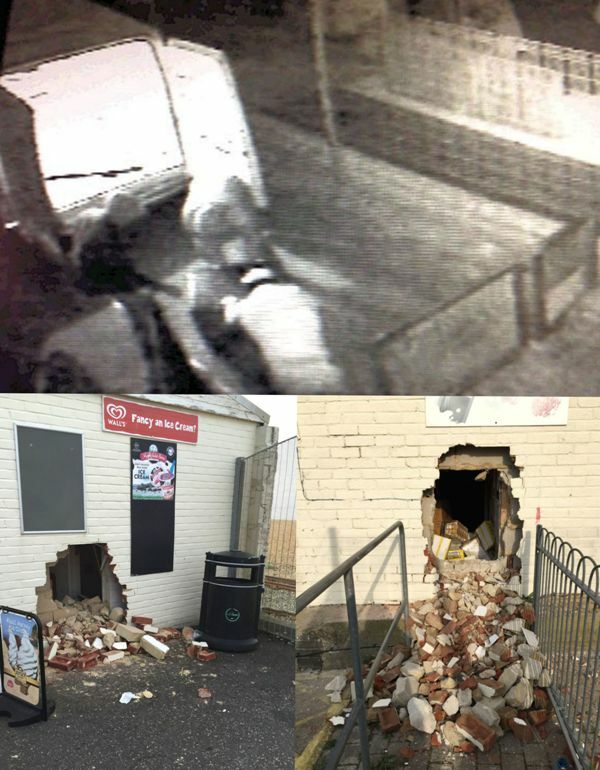 The safe had been stolen at around 12.45am on Monday morning (17 August) after thieves used sledgehammers to smash through a wall at Graces Place cafe on Madeira Drive, Brighton. A rope was attachedto the van and the safe was dragged outside before being manhandled into the vehicle and driven away. The burglary was reported to police at 7am. Meanwhile, shortly before 2am, a marked police car saw a van activate a speed camera on the A270 Lewes Road out of Brighton and began following it. The van, identified as stolen, failed to stop when signalled to do so and made off at high speed, at times travelling on the wrong side of the road and running red traffic lights. Officers lost sight of it but at 2.11am it was found abandoned in Middleton Rise, Coldean. The van was recovered to a police pound for routine forensic tests, having not at this stage been linked to the burglary. However, when officers later viewed CCTV footage of the raid, they realised it was the same van used in the theft. Entry was forced to the rear cargo area where they found the safe and contents intact. Detective Inspector Clare Shiel, of Brighton CID, said: “We’re pleased the burglars failed to get away with the stolen property, but our investigation continues and we now need to identify and arrest them. “Anyone who saw this white Ford Transit being driven in a dangerous manner along the A27 out of Brighton in the early hours of Monday morning, or who may have seen it being dumped in Coldean is asked to contact us without delay. Anyone with information is asked to email 101@sussex.pnn.police.uk or phone 101, quoting serial 158 of 17/08. Duh! So the police had the van all day yesterday and only today they discovered it was the van in the robbery?! Dear me. They had £45k on their premises?